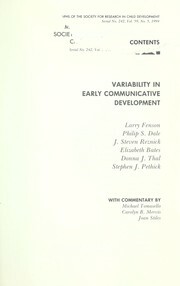 1 edition of Variability in Early Communicative Development (Monographs o... found in the catalog. Add another edition? 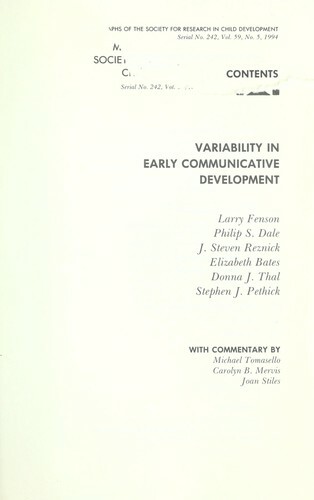 Are you sure you want to remove Variability in Early Communicative Development (Monographs of the Society for Research in Child Development) from your list? Published January 1995 by University Of Chicago Press . Much current thinking about the psychological and biological bases of language development is based on the notion of the modal child.